People living across Sussex, Surrey, Kent, Essex, Suffolk and Hampshire are being urged to have their say on how the airspace above them is used in the future – with a particular focus on reducing the impact of aircraft noise. NATS, the UK’s leading provider of air traffic services, and Gatwick are halfway through a joint consultation on this proposed airspace change. Local people are being asked for input to help shape the design of routes for the future. This input could be on noise sensitive sites such as open areas prized for their quietness or noise sensitive industries – specifically any place which could be affected if aircraft were to fly directly over it. Stakeholders are also being asked for their views on how to balance CO2 with noise, as avoiding some places means flying longer routes that produce more CO2. This information will be used to help establish new routes which offer the most benefit with the least possible impact. At low levels near London Gatwick the solution may be to offer some sites ‘respite’ – periods when there will be no flights directly overhead. This could be at certain times of the day or days of the week – all suggestions both for locations and timings are welcome. Airspace above the south of England is some of the busiest in the world. This consultation is the first stage in a wider programme of proposed changes to deliver the UK’s Future Airspace Strategy (FAS), which will be legally required to come into effect in 2020. Gatwick is the first major airport to consult on all levels of its airspace and all other airports will be required to follow suit. Paul Haskins, General Manager of London Terminal Control, NATS, said: “We have been asked why we are consulting on swathes of airspace instead of routes, and have clarified this on the website – www.londonairspaceconsultation.com – where there is all of the information necessary to make an informed response. 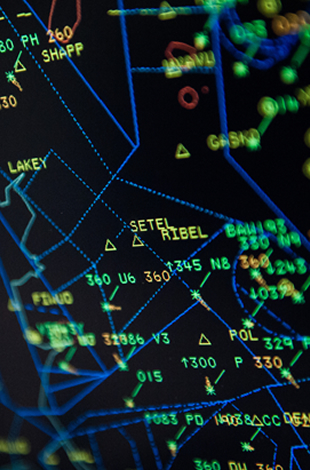 Launched on 15 October, the London Airspace Consultation (LAC) runs until 21 January 2014. It is available online for everyone to view, consider and leave feedback. The consultation is available online at www.londonairspaceconsultation.co.uk. The postcode search facility and clickable maps with consultation areas clearly marked makes it easy to see which proposed changes have the most relevance to a specific location. Feedback can be given directly on the website. Why we are consulting on swathes (wide areas over which aircraft could fly) rather than defined routes. An assumption that the consultation is linked to airport expansion or additional runways e.g. Gatwick’s second runway proposals – it isn’t. Whether new flight paths will affect areas currently not overflown. The whole of the south east is already overflown and the proposal won’t change that. It will, however, change the number of aircraft overhead in some areas (some will have more, some less). To help answer these questions, additional FAQs have been added to the consultation website. At this stage, the proposed changes focus on the airspace supporting London Gatwick Airport from ground level up, and to the airspace supporting London City, Southend and Biggin Hill airports above 4,000ft. Later stages will address proposals for airspace supporting other parts of the London airports network, to be complete by 2020.